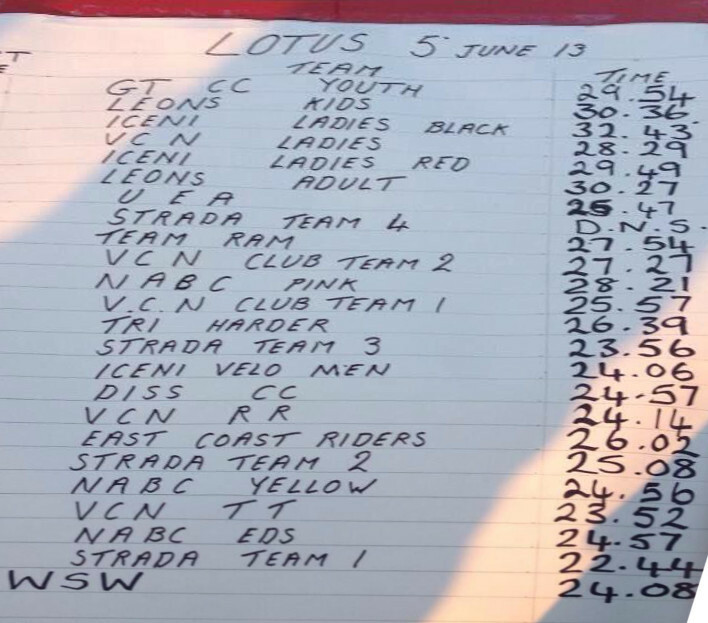 Fastest times were 22:44 by Strada Team 1, 23:52 by VCN TT, and 23:56 by Strada Team 3. GYCC Youth managed an excellent 29:54, and Leons Kids were a bit slower at 30:36. Full results at lotuscycleracing.org. Well done everyone!